Bollywood actress Deepika Padukone, who is riding high on success after her last film ‘Piku’ with Amitabh Bachchan, has denied signing any film opposite Salman Khan. 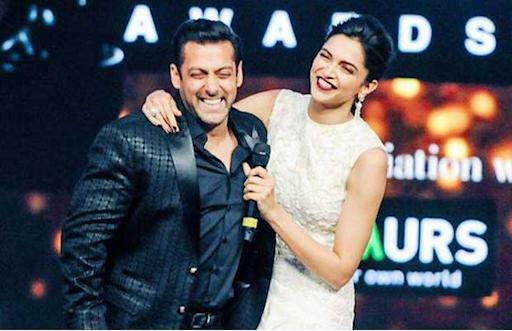 Deepika has worked with almost every actor in Bollywood industry but she hasn’t worked with Salman Khan yet. Earlier there were reports that the actress has signed for Ali Abbas Zafar’s Sultan opposite Salman. But yesterday during the press conference of Piku’s success party the actress squashed all the rumours. Deepika Padukone is currently riding high on the success of her recently released ‘Piku’ starring Irrfan Khan and Amitabh Bachchan. The actress is also shooting for Sanjay Leela Bhansali’s Bajirao Mastani starring Priyanka Chopra and Ranveer Singh. Priyanka Chopra and co-star Deepika Padukone will be seen doing a dance face-off in Bajirao Mastani. In the film both the actress will be seen winning Ranveer Singh’s heart through dance. Both the actress have worked hard for the most important part of the film as said by director Sanjay Leela Bhansali. They did their rehearsals with choreographer Remo D’Souza for continuous 10 days in Mumbai. Director Sanjay Leela Bhansali wanted to keep in wraps about this dance sequence, which is also climatic scene of the movie, but it didn’t went well as the actress already revealed about it on micro blogging site twitter.